(including six films by Dean Inkster and Sébastien Pluot with Stephen Antonakos, Benjamin H. D. Buchloh, Daniel Buren, Ben Kinmont, Naomi Spector, and Lawrence Weiner), and works by Dorit Cypis, Ben Kinmont, Silvia Kolbowski, Emilie Parendeau. Michael Asher (1943-2012) and Christopher D’Arcangelo (1955-1979) formulated convergent yet distinct practices centered on the critical analysis of the structural conditions of art. 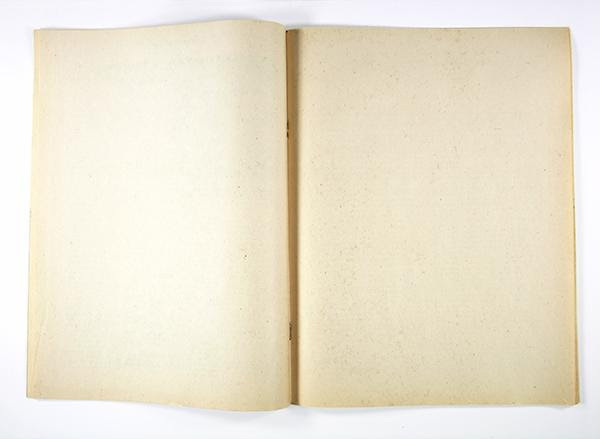 Separately, they addressed how the terms under which the material and social conditions in the production, display, circulation, and reception of art intersect with state, institutional, and commercial powers under capitalism, and the ways in which the status, position, and subjectivity of the artist is produced and articulated against this backdrop. Often questioning the function of architecture, each artist deconstructed the alleged neutrality of art institutions’ iconic “white cube” with subtle interventions involving alterations, substitutions, and displacements of material and semiotic structures. This exhibition component of You may add or subtract from the work, focusing on the multiple correspondences between the work of the two artists, puts their work in close proximity to each other and to four additional artists of different generations: Dorit Cypis, Silvia Kolbowski, Ben Kinmont, and Emilie Parendeau, each contributing succinct meditations on Asher / D’Arcangeleo that also address contemporary aesthetic, social, political, and economic conditions. From 1975 to 1977, D’Arcangelo lived periodically in Los Angeles where he first met Asher through artist Daniel Buren. 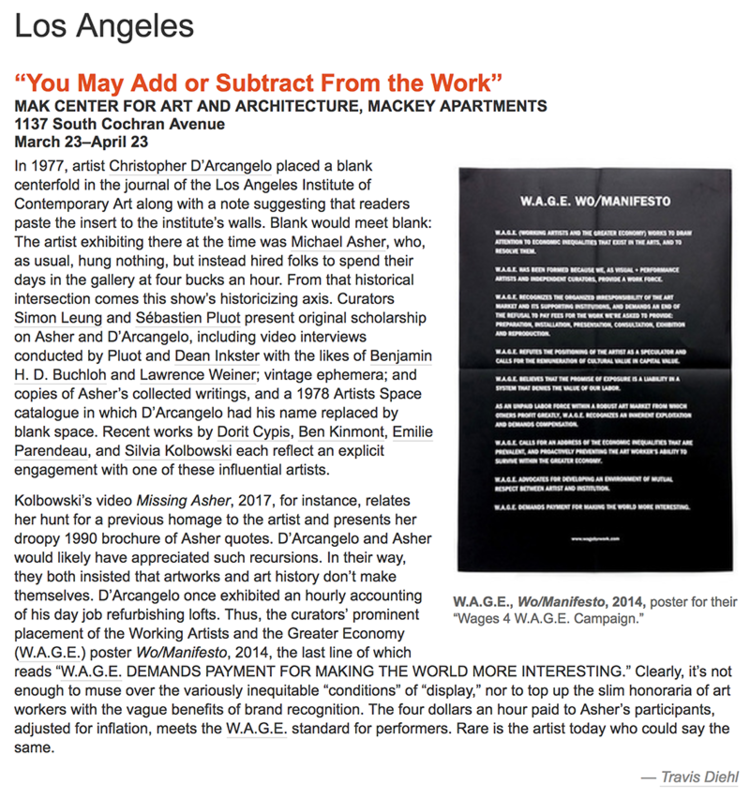 While the work of the two once literally intersected at the Los Angeles Institute of Contemporary Art (LAICA) in 1977–when Claire Copley invited D’Arcangelo to participate in a special issue of the LAICA Journal she curated, resulting in his contribution being appended to the walls of Asher’s project in the LAICA exhibition space–the proposal of this project is that in addition to the historical significance and congruence of the work, the dialogue in the two artists’ mutually illuminating practices is of utmost aesthetic and political relevance today. A symposium on the works of Michael Asher and Christopher D’Arcangelo, open to the public, will take place at LACMA on March 25, 2017, 1:00pm – 6:00pm with Claire Copley, Dorit Cypis, Rosalyn Deutsche, Dean Inkster, Jennifer King, Ben Kinmont, Simon Leung, Sébastien Pluot, Sami Siegelbaum, and Marie Shurkus. In Fall 2015, Simon Leung and Sébastien Pluot conducted a graduate seminar under the auspices of the Art Department at the University of California, Irvine, that included graduate students in art and curatorial studies, as well as guest scholars such as Eric Golo Stone, Jennifer King, Tom Jimmerson, and Sami Siegelbaum. The installation is designed with the help of students from this seminar.